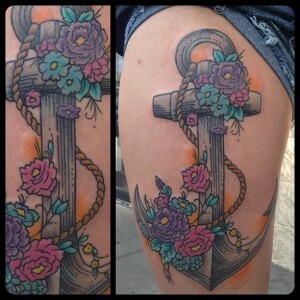 Thigh tattoos could very well be some of the most attractive tattoos that exist, but only as long as they are designed and placed correctly to fit each individual leg. 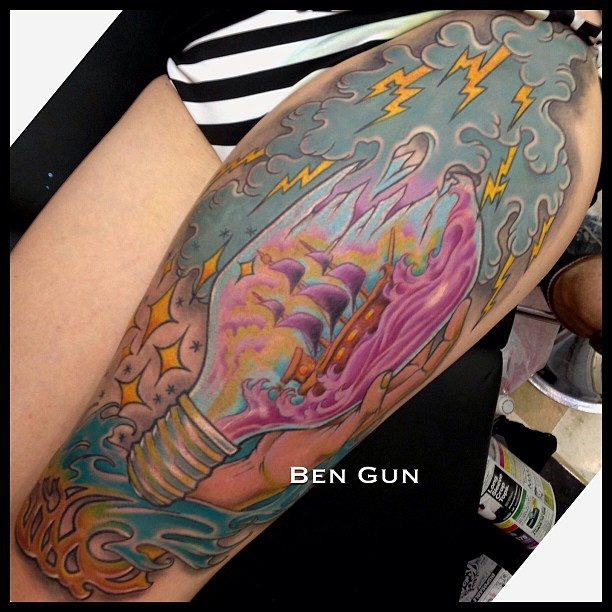 Not all tattoo designs work and look the same on every part of the body; so the best advice if you are considering a thigh tattoo, is that no matter which tattoo style you have in mind, get a customized design for your own thigh shape and size. Another thing you’d want to keep in mind when coming up with your tattoo ideas, is that it is very important that whatever you are inking on yourself it’s something meaningful for you, as the tattoo will be on your skin and you’ll have to look at it for many years. There’s no need to rush in picking a design, take your time to decide what you want to get tattooed, and of course, choose a professional and experienced tattoo artist, such as the ones we have at Mantra Tattoo! It’ll feel much better this way once it’s done, and you and everybody else will admire your beautiful tattoo forever. 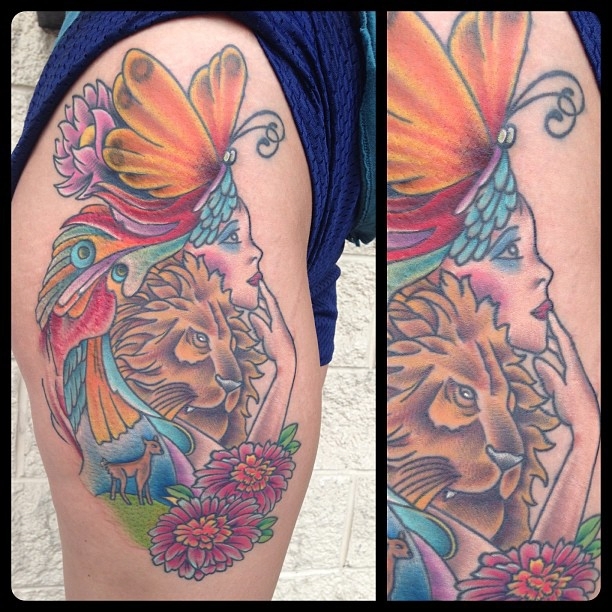 Get your Thigh Tattoo designed and performed by a pro at Mantra Tattoo & Body Piercing! Come visit us to discover why we are Colorado’s Best Custom Tattoos, Piercing and Body Jewelry. Schedule an appointment online or give us a call to get your custom thigh tattoo designed by our experienced tattoo artists, or to choose your jewelry and discuss your next piercing with one of our professional body piercers. We use only medical grade sterilization and new needles always on every tattoo and piercing. Our shop is fully inspected and regulated by the Jefferson County Health Department. Age requirements: 18 and up on your own with photo ID; 16 – 17 with legal guardian and both individuals required to have photo ID with matching last names.